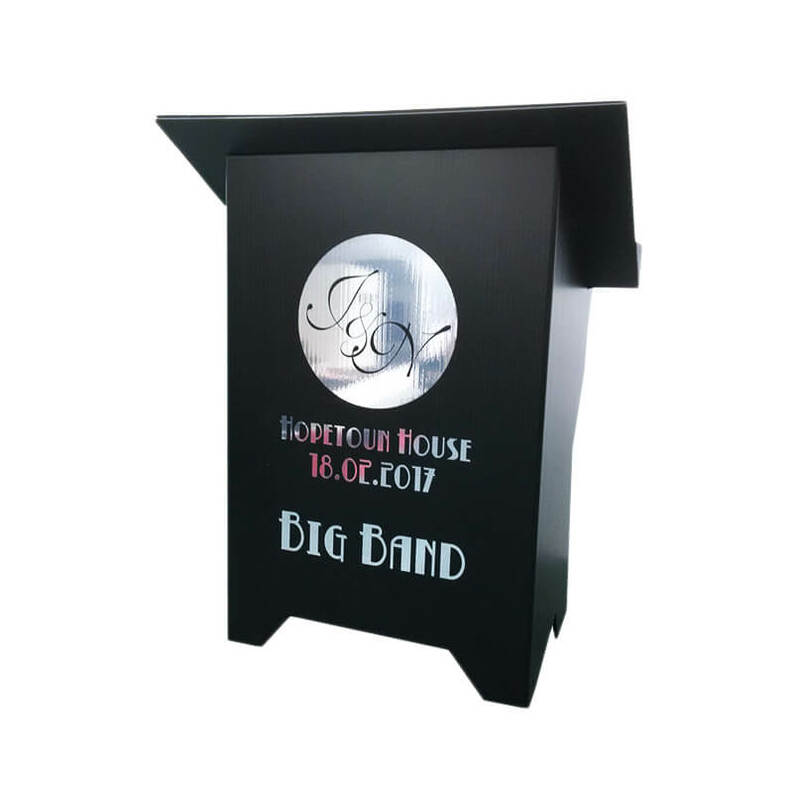 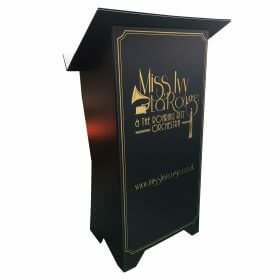 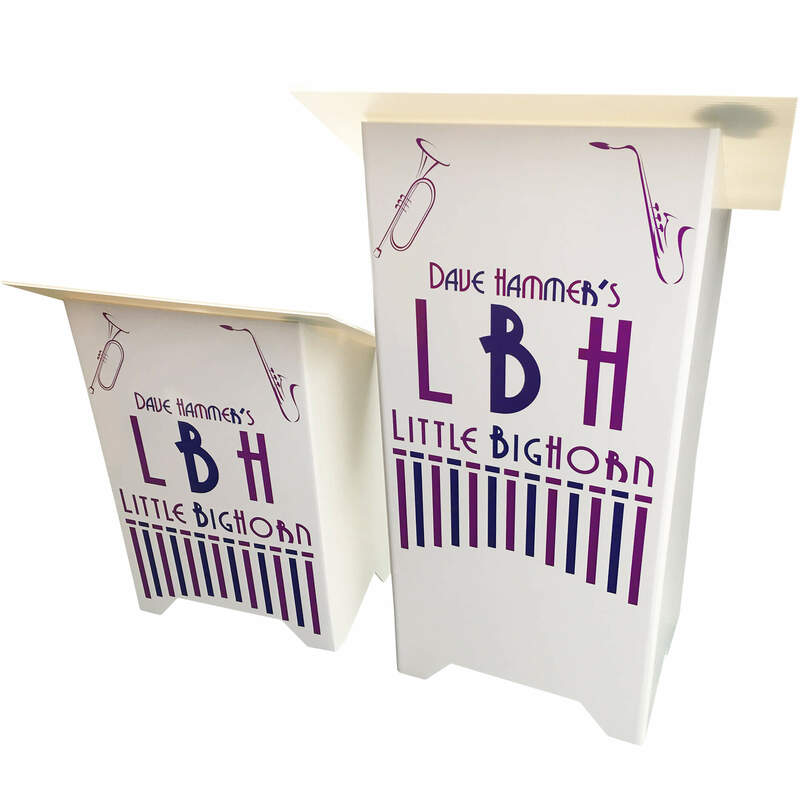 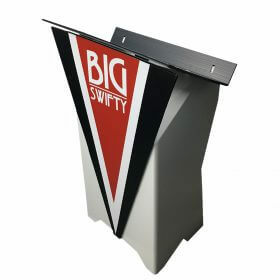 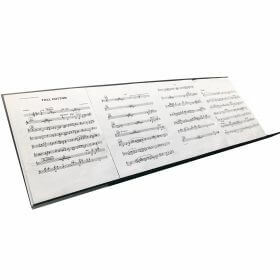 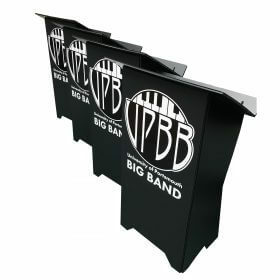 Our lightweight, highly portable music desks are perfect for big bands, jazz bands, school bands, wedding bands and soloists. 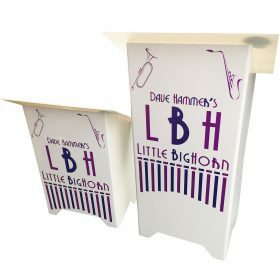 As part of your order we set up your artwork for print or we can even create a stunning design for you. 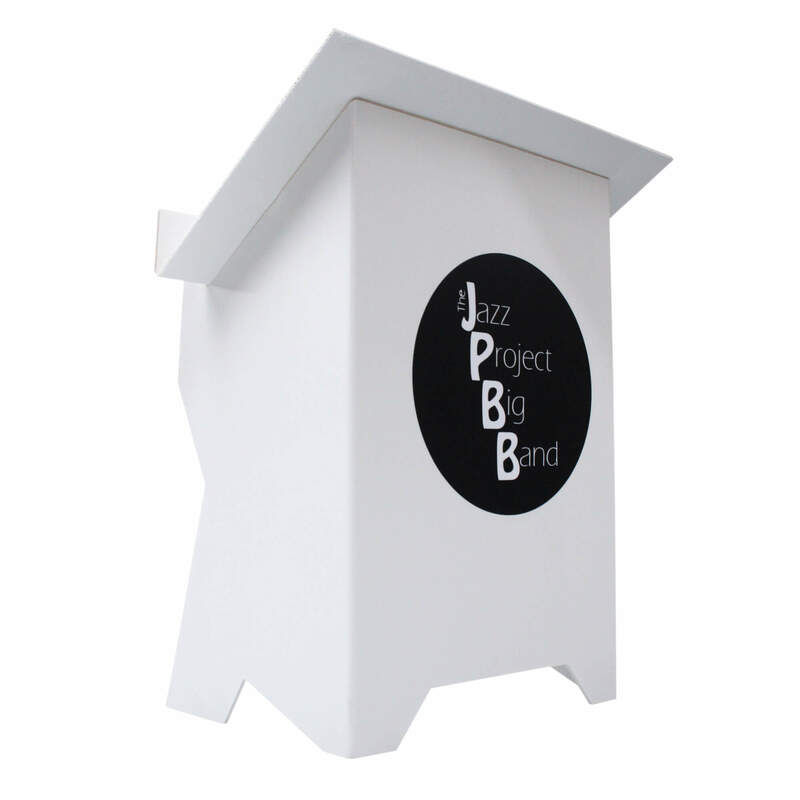 We charge £30 (inc. VAT) for this essential setup regardless of the size of the order.